So now I work ahead, choosing categories for upcoming years, and keeping yearly reading lists where I jot down books as I hear about them. I’m finding this approach gives you time to refine the books you’ll read, to only read the best. And when you think about this, picking a single subject each year for the next say, 50 years, you’ll gain 50 branches of knowledge. This is what Charlie Munger means when talks about becoming multidisciplinary. When you grasp concepts that span history, mathematics, psychology, biology, and physics, it makes you a better thinker, problem solver, and decision maker. 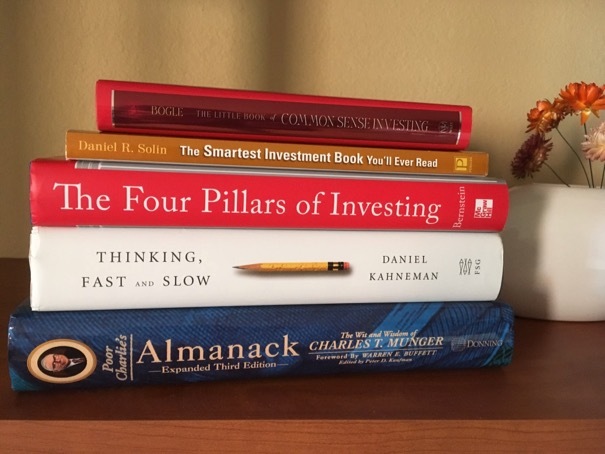 Anyways, this year I read investing books because I’ve missed some along the way. Here’s the top five I read.